MNN. Apr. 13, 2013. Quebec and Canada pretend to fight each other, although they’re owned by the same shareholders. 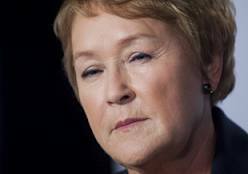 Canada’s Prime Minister Harper and Quebec Premier Marois are actually working closely together to try to eliminate their common enemy, the Indigenous land and resource owners. The recent public attack of a Mohawk speaker by the separatist students at Champlain College in Sherbrooke shows that their brain programming is working well to promote racism and hatred toward the Indigenous. She was questioning their history and legal position as settlers. The other students and teachers were unapologetic over the mistreatment of the 73-year old speaker. The bankers set up the confederation; fraudulently forced indigenous people under “federal” jurisdiction; and then set up sub-corporations called “provinces” to carry out the theft of our lands and resources. All land and resource revenues go into the ever growing $60.5 trillion Indian Trust Fund which has been hijacked by the bankers. The profits from of the extraction of our resources is divided up between the federal and provincial governments. 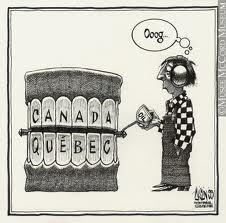 Canadians watch Quebec separatists trying to viciously dislodge us from our land, resources, funds and rights. They turn away and are thus complicit in the genocide. Quebec propaganda mills threaten those who question their made-up history, false news and opinions. Canada is not a state. It has no land. 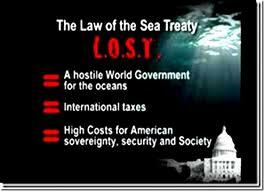 It is a foreign corporation established under the Admiralty “law of the seas” designed for commerce on the ocean. Quebec is a by-product. Indigenous Kaianerekowa is the law of the land of Great Turtle Island. The Indian Lands Acts of 1924 are illegal non-ratified corporate by-laws giving our resources to Quebec and other provinces. They have no right to sit at global forums selling Indigenous resources. All newcomers and their corporate entities should be petitioning our nations on access to our possessions. It is not Canadian nor Quebec territory. The Great Peace of Montreal Treaty 1701 allowed the newcomers a right to live here according to the Two Row Wampum. They could set up their communities and never own our land. This treaty was breached. Their occupation became illegal. The occupiers must renew their visas with us. 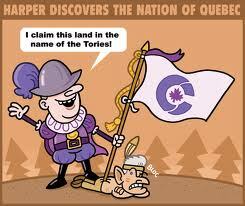 Their agreement and fiduciary responsibility to Indigenous is affirmed by the Royal Proclamation 1763. Canada is a colony. Agreements on their settlement on our land is between Indigenous nations and the crown representing the colony of Canada and its sub-colonies.